Hi, I am new to archage. I have no clue what the boni in weapons are and what boni are good for which class. So I play archer. What boni should I focus on in my eq? 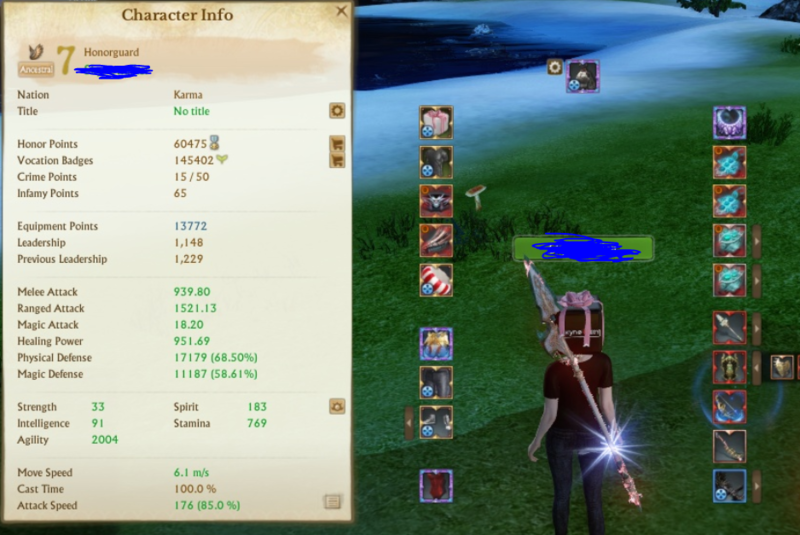 You should aim for Agility mainly and take stamina as off "boni" in archeage its called Stat. As archer if you pick the hiram way there is no advantage over any kind of Mainhand and offhand weapon. Some people prefer to have the possibility of being able to heal them self so they pick the hiram club which has healing power or to increase their overtime dmg via bleeds or poison by picking up a club. Your main Armor type is Leather atleast thats the initial though about it. A lot of people consider going plate hiram due the world being heavy on melee players. You should always have a shield with you that you can swap to! But for dps reason you take a non shield offhand. Due to them having removed weapon effects its irrelevant what kind you take. But future proof incase they will switch back at somepoint i would suggest dagger since that was the innitial game design for archery aka Shortspear / dagger.